How many strikeouts is too many? At the major league level, strikeout rate correlates with a lot of good things, like isolated power. Strikeout numbers that used to look high are more tolerable than they used to be. But no matter how acceptable they become, there’s a certain point beyond which a strikeout rate cannot go, at least if a player wants to keep his job. My question for today is: What is the threshold for a college prospect? How often can an amateur hitter strike out before we need to declare that he has virtually no chance of becoming a productive major leaguer? Let’s start with an easier question: How high can a major league player’s strikeout rate go and still be part of a productive skillset? In practice, that number is about 27 percent to 30 percent of plate appearances. Last year, only 12 regulars exceeded 27 percent, and eight struck out more than 30 percent—three of them by half a percentage point or less. The remaining five are easy to guess. There will always be a few players like Carlos Pena, Russell Branyan and Adam Dunn, but it’s probably unreasonable to draft a college hitter with the expectation that he will develop into a Jack Cust– or Mark Reynolds-like package. Let’s use a range of 25 percent to 30 percent as a maximum. Obviously, evaluating strikeout rates must happen in context. Ryan Howard’s 30.2 percent last year was much easier to swallow than Dexter Fowler’s 26.8 percent. It’s a continuum, and no number that I come up with in this article should be viewed as applicable in every single situation. There are two ways we can answer the question regarding college players. We could go through years of raw data, identifying the players who went on to be major league regulars and seeing what their strikeout rates were in college. Or we could do more macro-level analysis to get a grip on what that 25 percent to 30 percent range translates to in NCAA Division One. Both approaches have benefits and drawbacks. Let’s start with the second approach to get a theoretical sense of what a maximum strikeout rate should be in college. But what if some players (like Zack Cox this year) are able to massively improve their contact skills? To see how common that is, we’ll follow up by looking at the actual track record of some major league regulars. To figure out what that 25 percent to 30 percent range means in college, let’s take two steps. First, determine what the range translates to in the low minors, and then go from the low minors to the NCAA. Chaining from level to level from MLB down to full-season Single-A ball, we find that a 25 percent strikeout rate in the majors is roughly equivalent to a 21 percent rate in Single-A, while a 30 percent strikeout rate is about the same as a 25 percent rate in Single-A. Stopping here for a second, we can use this information to do a bit of prospect evaluation. If striking out in more than three of 10 plate appearances is unacceptable in the majors, and that’s the same as a 25 percent K rate in low-A, we can identify a lot of guys in the low minors who have some serious work to do. For instance, last year Dodgers prospect Kyle Russell struck out in 37.4 percent of plate appearances. It doesn’t take any sophisticated analysis to conclude that that’s a pretty big red flag. At least Russell has a Reynolds-like ISO of .272, but the same can’t be said for Dusty Coleman and his 33.2 percent K rate. 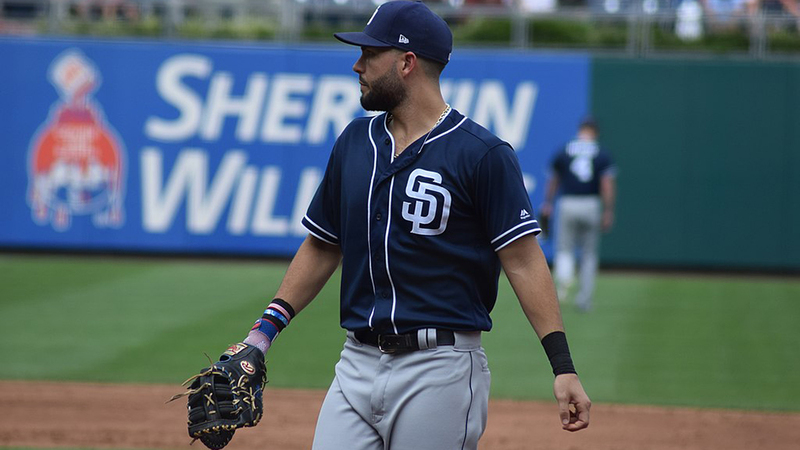 Even the chances of someone further down the list, like Jaff Decker (25.7 percent) or Tim Beckham (23.6 percent), must be viewed with skepticism. The adjustments are even more brutal going from the low minors to the college ranks. Over the last few years, college players transitioning to the pros have seen their strikeout rates jump sharply, from about 13.5 percent to 19.5 percent. Using that multiplier, our “warning” range for college hitters is a strikeout rate of between 15 percent and 17.5 percent. Hitters get better, don’t they? What we haven’t accounted for yet is the improvement that typically comes with aging. Like everything else we’re talking about, this is something that varies from player to player, but if we assume that the average college junior is 21 years old, a reasonable estimate is that he’ll knock 20 percent off of his strikeout rate by the time he reaches his peak. Thus, we can tweak the warning range again. Instead of 15 percent to 17.5 percent, we’re looking at college strikeout rates between about 18.5 percent and 22 percent. Anything over 22 percent foretells serious contact problems; anything above about 18 percent suggests that a player will have to be awfully good in the other 82 percent of plate appearances to make up for the strikeouts. Given how typical a strikeout rate of 18 percent or higher has become at the major league level, I was surprised to find so few big-name prospects in this territory. Certainly none of these guys, even Yarrow, presents a warning sign on par with Zack Cox’s strikeouts last year. But is that really the case? It’s certainly plausible that some players markedly improve their contact skills in their early 20s. Maybe, if there have been enough such players, we shouldn’t be so skeptical of college strikeout rates in the 20 percent range. Let’s go back and look at college stats from 2001-03. Any player drafted in ’03 is at least 28 years old, so if he’s going to make an impact at the big league level, we’ve probably already seen some evidence of it. Here are some player-seasons from those three years with a strikeout rate above 22 percent. There were dozens, of course, mostly guys who never played pro ball. These eight are the very few notable names in the group. As you’ll see, we have to define “notable” pretty broadly. There’s nothing here that contradicts the theory-based conclusion that college strikeout rates of about 22 percent are a very serious red flag. Sure, Mark Reynolds has turned into a useful player, but outliers don’t come much further out than him. These are the “stars” from a pool of hundreds. With names like Brett Gardner, Michael Bourn and Kelly Shoppach, it’s clear that teams shouldn’t blindly avoid this pool of players. But it’s equally clear that it isn’t exactly a filter for future stars. You can see a little more big-league talent as we get to the 18 percent range. It’s impossible to pinpoint a single number that divides the guys you should worry about from the guys you shouldn’t, but as soon as you drift down to the 16- and 17-percenters, the odds of major-league success start to look better. The one big name up there is Ryan Braun. But note that 2003 was his freshman year. By 2005, his strikeout rate was down to 14 percent. Using the translations I walked through earlier, a 14 percent college K rate implies about a 20 percent K rate in the majors. And sure enough, his career K/PA is sitting at 20.8 percent. Cameron Rupp? Rick Hague? I just got a little more bearish on your chances of contributing at the major league level. Stephen Yarrow? I hope you spend a lot of time with your hitting coaches in the minors. Everywhere you turn for the month before the draft, you’ll hear commentators telling you to discard this college stat or take that one with a big grain of salt. Sure, they don’t have the same predictive value as Double-A results, but if you know what to look for, you’re doing yourself a disservice if you ignore what the numbers have to say. This is one of those cases. Through both of the methods we used, a 22 percent college strikeout rate looks like as good a filter as any. Sure, someone like Mark Reynolds will come along every once in a while and break the mold. But setting aside that one guy every five or 10 years, the translations tell the story. At least with strikeout rate, it’s a rare player who is going to cure his ailment between age 21 and his late 20s. Perhaps more striking is the relative dearth of talent in the 18 percent to 22 percent range. You’ll find plenty of draftniks who are bullish on the likes of Rupp or Ross Wilson, but judging from the success of guys with similar strikeout rates in the past, the odds are heavily against them. Looking for some guys to move up your draft boards instead? Try the Cal State Fullerton duo of Christian Colon and Gary Brown, with K rates of 4.6 percent and 5.2 percent, respectively. They may or may not make it, but it’s awfully unlikely they’ll wash out because they strike out too much. Hey, nice writeup. I’d be interested to see how much power you need to have for a given strikeout rate for you to still be an average (or replacement level) player in the Majors. Any thoughts on this? Shouldn’t we be looking at swinging strikeout rate? A high percentage of swinging strikeouts would mean contact problems, whereas if a high percentage of the strikeouts are looking, it could simply be a sign of good plate discipline. Awesome work, Jeff. I don’t have a database as expansive as yours, but in some discussions with Lincoln Hamilton of Project Prospect, we had come to the conclusion of around 18% being an indicator trouble looming. Good to see it’s verified as a warning signal.